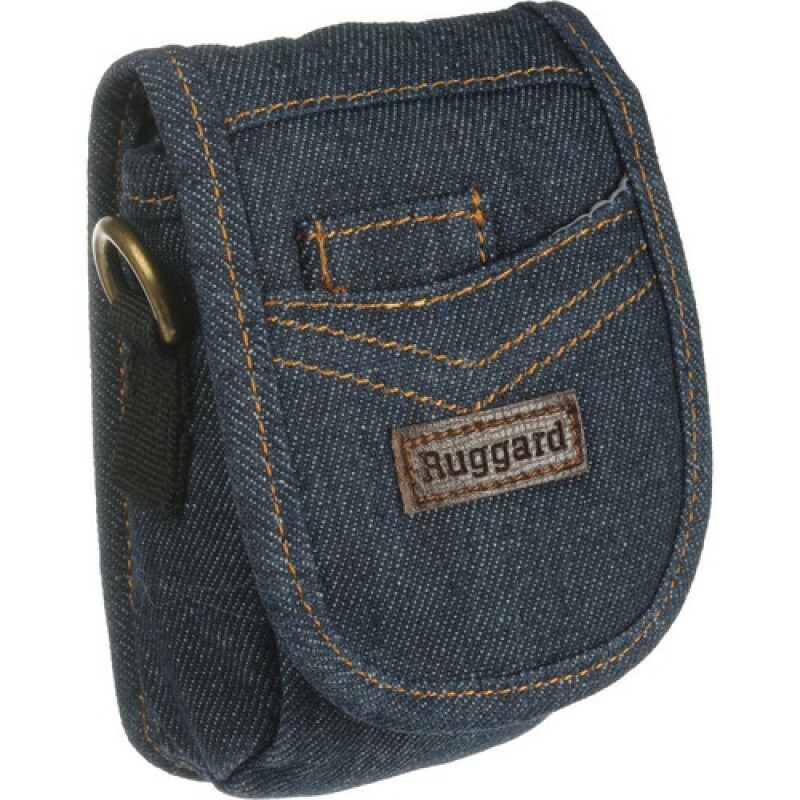 The DEP-250 Denim Camera Pouch from Ruggard will match well with your jeans. It's got the same look and feel as you favorite blue jeans even down to the traditional yellow stitching and stylish leather accents. 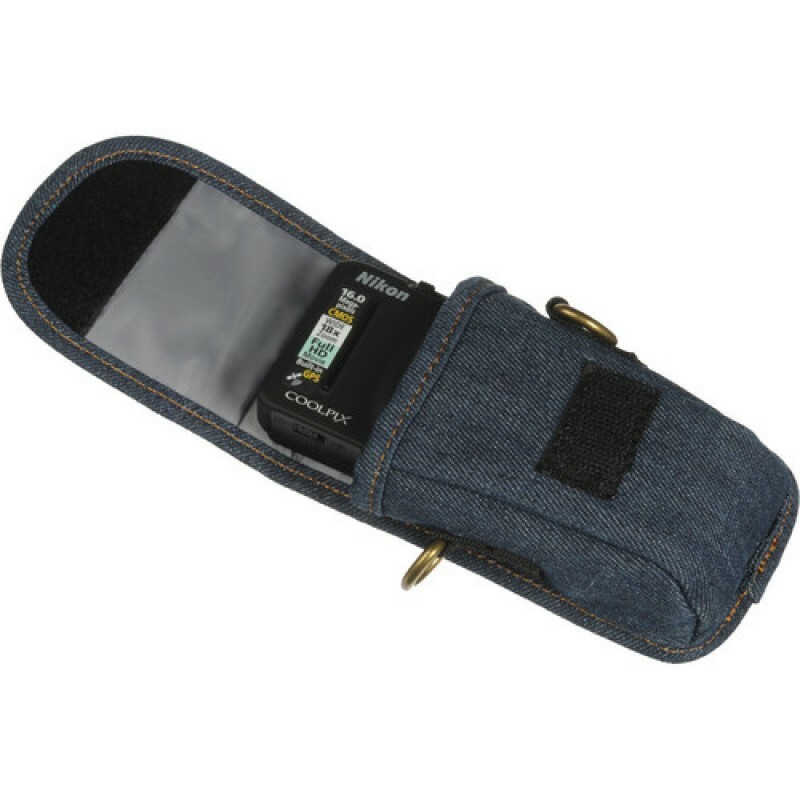 The exterior is denim but the interior is a smooth lined fabric that is meant to be gentle to the screen of your digital camera. Neither will the interior mar the fine finish of your camera. 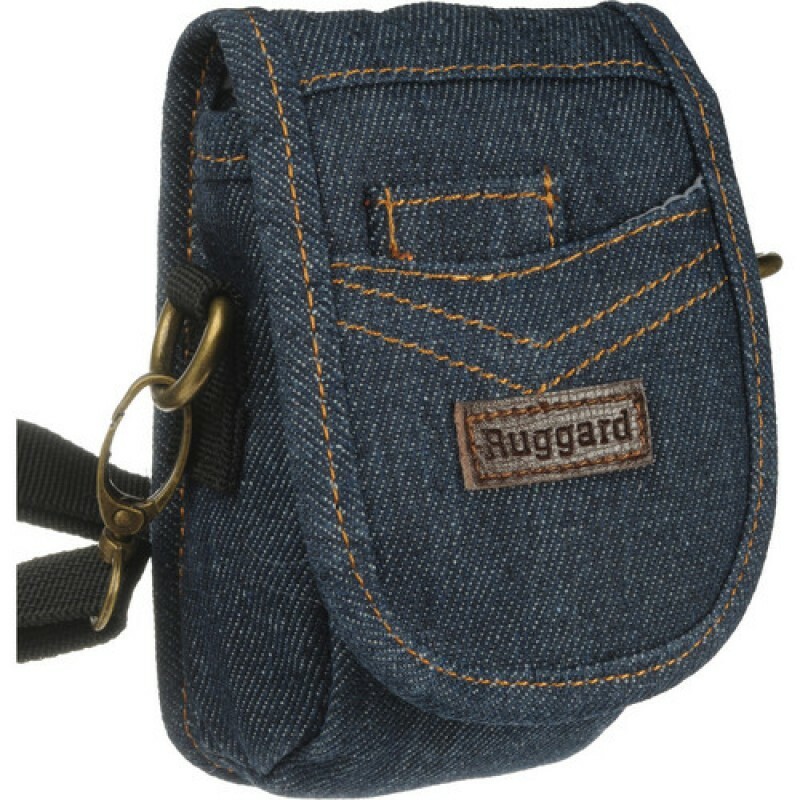 The touch fastened flap holds the pouch shut saving you the trouble of a zipper that can jam. It also provides faster access to the camera. 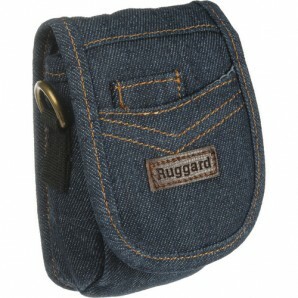 On the underside of the front flap is a small touch fastened pocket that is sized to hold media cards. The outside of the flap contains two more open pockets-one larger, perhaps, for another memory card or lens cap. Carrying the denim pouch is easy with the included, adjustable, removable nylon shoulder strap. 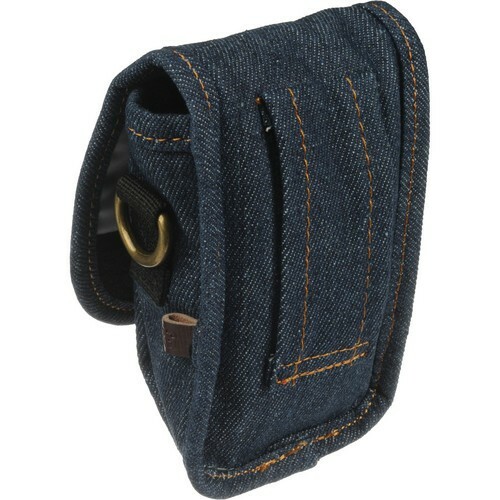 Even more convenient is the belt loop that will make the pouch look cool when attached to your jeans. The pouch is finished with a sewn-in leather Ruggard logo and three-year warranty.